North Fresno Collision Center is a family owned business. Our goal from the beginning has been to provide outstanding old fashioned customer service and repair vehicles the right way. Quality first. We are well known for our ability to repair US and Japanese vehicles but a lot of our customers don't know we have another division within our company. Our High End Division, which is now located at our newly opened Palm Bluff Location. One of the things we learned up front in 2004 was that no one offered Aluminum Structural Repairs in the Central Valley. We wanted to be Manufacturer Certified to repair large collisions on exotics that go far beyond Dents and Paintwork. In fact today there are still only a few of us in the country that are Structurally Certified by the Manufacturers to rebuild your damaged aluminum body and frame. This requires extremely advanced equipment and welding skills due to the exacting nature of the suspension systems. It is really a craft! So this started a journey that has led us to whom we are today. It started with BMW in 2006 as we earned their Certifications to replace Aluminum frame rails. Then 2011 Jaguar and Land Rover. More employees where hired and regular training trips back east started and continue today. In 2013 Tesla approached us... with many Tesla's. We were the Valleys first Tesla facility and our staff was trained regularly at the Tesla factory along with other Tesla employees. Note: Tesla no longer provides this training and we can truly say that our Staff is the only Factory trained and Structural welding certified facility in the Valley by Tesla. In 2018 we earned the Mercedes Benz honor of being an Elite service center. This was very hard to achieve and we are very proud of our ability to repair High End Mercedes that until now, if involved in a collision were being towed to the Bay Area. Over the years our customer base for high end vehicles has grown to cover the area from Bakersfield to Stockton and west to Santa Barbara. 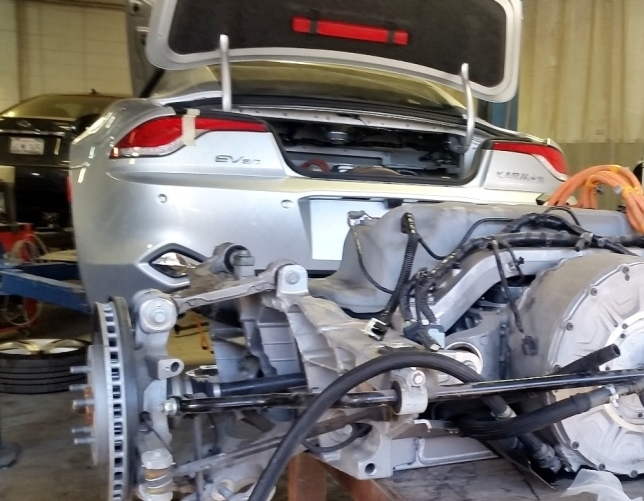 Besides our certified brands, we have repaired many Aston Martin Bentley Ferrari Maserati. With the technology and advance materials in any of today's vehicles, we never just jump into a repair. First we analyze the damage and determine the difficulty, then repair is dispatched to that particular expert and the research happens before we ever start. Tools are everything and we have them. We have the deepest selection of tools in the Central Valley as the Vehicle Manufactures require them for the level of intrusive repairs we have earned the credentials to perform. We cut no corners, We remove it! Safety depends on the vehicle being repaired to the rigid standards as it was engineered. If the frame is improperly repaired it will not be able to protect you if another accident was to accrue as it is weakened and will collapse. This is a Jaguar XJ Please note: we are the only facility authorized by Jaguar to do such a repair anywhere in Central California. High end vehicles are all made to exact tolerances that maintain precise suspension geometry that allows the vehicle to steer on rails. The rail must be secured to the exact spot before welding the replacement frame rail. This is why the high end manufacturers allow us to purchase parts that are banned from traditional collision shops. A Tesla Model S that we replaced the Rear Aluminum exterior panels per Tesla guidelines. After repairs are completed we seal and paint the structure and Assembly begins. Tesla is a very special car designed for the customer that does not want an internal combustion engine and a car made by the big automakers. Tesla approached us a few years back to provide collision service for their Customers in Central California. We embraced the opportunity and we have grown with them though the years. Our Staff was actually invited and trained by Tesla directly in the Fremont Factory. We have an exceptional working relationship with Tesla that allows us access to Parts. We are Factory trained to Estimate Repair and Program your Tesla. Our staff has years of experience working with these very special and extremely technological vehicles. Nothing growls like a Jaguar! Jaguar selected us as their exclusive Factory Collision center for Central California. We are factory trained and certified by Jaguar to properly repair your Aluminum based vehicle from small dents to major structural damage. Mercedes Benz as always, provides their brand followers with stylish vehicles that are performance based. We have achieved the highest level a Mercedes-Benz collision center can earn. 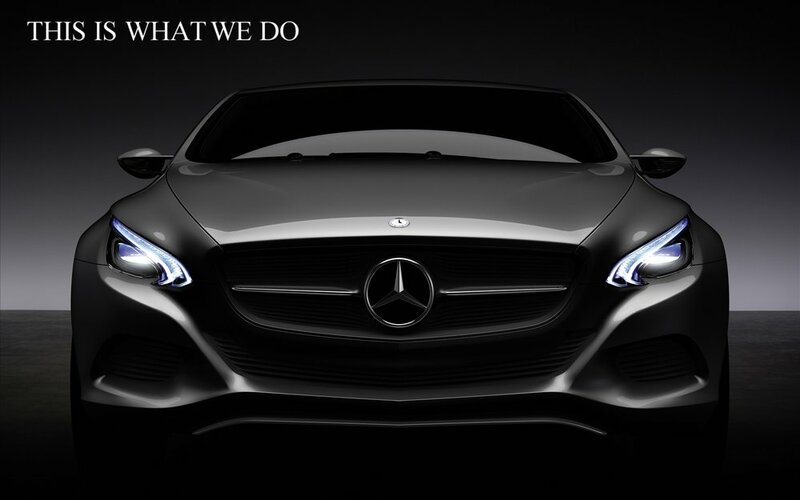 We are a Mercedes-Benz Elite Certified facility. 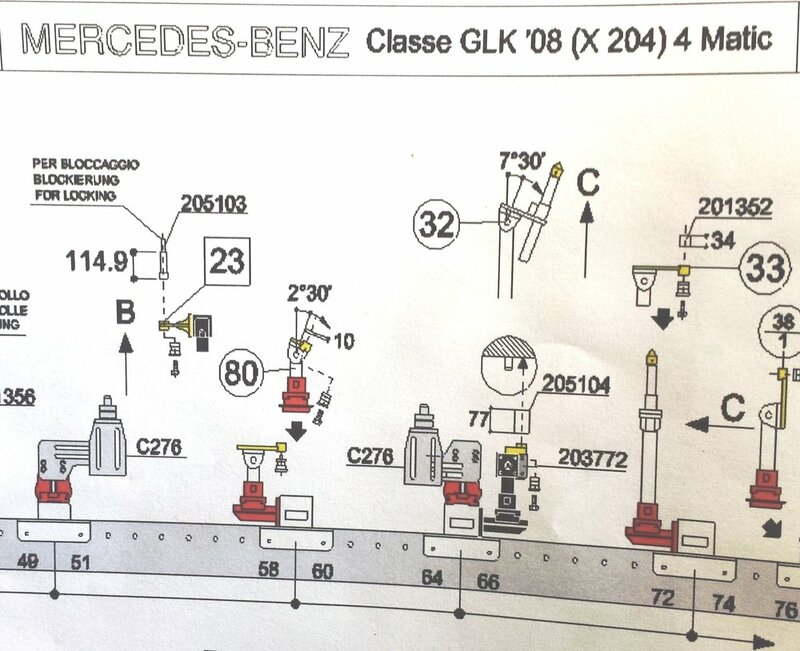 This level allows us to perform any level of reconstructive repair for all classes of Mercedes-Benz Vehicles including Rail replacement on advanced materials AMG and SLS. Land Rover selected us as their exclusive Factory Collision center for Central California. We are factory trained and certified by Land Rover to properly repair your Aluminum based vehicle from small dents to major structural damage. We are F-150 Certified by Ford and maintain the highest level of provided training for Jeep Dodge Chrysler Buick Chevrolet Cadillac Lincoln and GMC. We are Certified to repair your Honda Acura Nissan Infiniti and Hyundai. We maintain the highest level of provided training for Mazda Toyota Lexus and Subaru. We are a proud partner of the RideShare Team for Uber Lyft and Delivery drivers. Both of our locations offer the Collision Express Lane services to put you back on the road as soon as possible. We offer financing in house if needed along with a temporary replacement vehicle if you are covered. North Fresno Collision Center is a growing and expanding company. We pride ourselves on providing the highest level of customer care and repairing the customers vehicle the right way. We accomplish this by having the best Team, all the right equipment and a collective level of knowledge that provides us the ability to do repairs that cannot be accomplished by other facilities in our area. We are always looking for positive individuals who want to learn and grow with us. If you take pride in what you do no matter, if you are just getting started or have been in the industry for many years, talk to us. Fill out the form on the right and we will reach out to you.